The nightmare begins when a group of young street racers take a desolate shortcut on their way to the Road Rally 1000. But a chance encounter with Rusty soon turns deadly as he stalks, taunts, and tortures his next victims with well practiced deranged delight. Joy Ride 3 is a full-throttle, pedal-to-the-metal thrill ride packed with killer twists and turns! 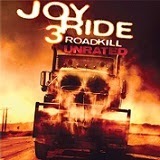 The truck driving serial killer, known as Rusty Nails, returns in the third installment of the Joy Ride franchise. The film begins when a pair of crack heads calls upon Rusty for a good time. They plan to lure him to their motel room and rob him. They have picked the wrong trucker to mess with and they soon find themselves chained to the front of his truck. Rusty’s game is simple – hold on for a mile and he’ll let them go. If either one of them falls, they will pull the other under the truck to meet certain death. To make things interesting, Rusty tapes a bag of drugs to the windshield. Sure enough the female crack head can’t resist and body parts soon line the highway. Later, a group of racers catches Rusty’s attention. In typical fashion he hunts, terrorizes and kills the group one by one. All the deaths are sadistic and twisted and I don’t recommend watching this film over a meal. Joy Ride, featuring the late Paul Walker is one of my favorite serial killer movies. It’s sad that the original actor who played Rusty is no longer involved, but the new Rusty isn’t bad. He just doesn’t have the same creepiness to his voice. The old rusty excelled at making your skin crawl as he talked. It’s rare that a sequel surpasses the original and if Joy Ride 2 was disappointing, Joy Ride 3 is even more of a let down. I do admit that my taste for blood and guts is diminishing over the years. It must be old age as I approach my 37th birthday. I’d much prefer the gore you know is there but don’t see much of. This film is just the opposite – in your face dismemberment, eye popping (literally) and more. Joy Ride 3: Road Kill is presented on Blu--ray with an AVC encoded 1080p transfer in a 1.78:1 ratio. The video is unexpectedly sharp and the blood and guts show many colors and textures. 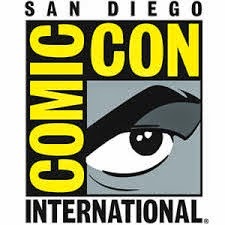 For a horror film without a theatrical release, the video quality exceeded my expectations in both indoor and outdoor locations. Joy Ride 3: Road Kill’s DTS-Master Audio 5.1 mix is also better than expected with as I enjoyed hearing the roar of the cars on the road. The cars, and especially semi trucks, sound very realistic while keeping the dialogue is intelligible throughout. When you don’t love the film, the features become less significant. After being grossed out by the movie I didn’t really want to see how it was made. Riding Shotgun with Declan: Director's Die-Aries – A look at a variety of shooting days. Jewel's Message – Just what it says, the character Jewel’s message, lasting one minute and twenty seconds. Road Rage: The Blood, Sweat and Gears of Joy Ride 3 – An almost 12 minute behind the scenes featurette exploring the details of the film. Includes cast and crew interviews. Pre-Vis Sequences - More making of details with seven minutes of pre-vis action. Finding Large Marge – A four minute look at casting the “inside joke” for Pee Wee fans. Joy Ride 3: Road Kill is easy to figure out if you haven’t seen the previous films. All you really need to know is that Rusty Nail is a trucker in a seriously mad mood and he doesn’t forgive those begging for their lives. For me, the film was too gory and disappointing in comparison to Joy Ride. The audio and video quality are better than expected and the extras just weren’t of interest to me. My favorite horror movies stand up to repeat viewings and this is definitely a one-time thing. Another of my favorite films is Wrong Turn, which was also followed with bloodier and less interesting sequels. While I don’t strongly recommend Joy Ride 3: Road Kill, it has made me want to go back and see the original again.